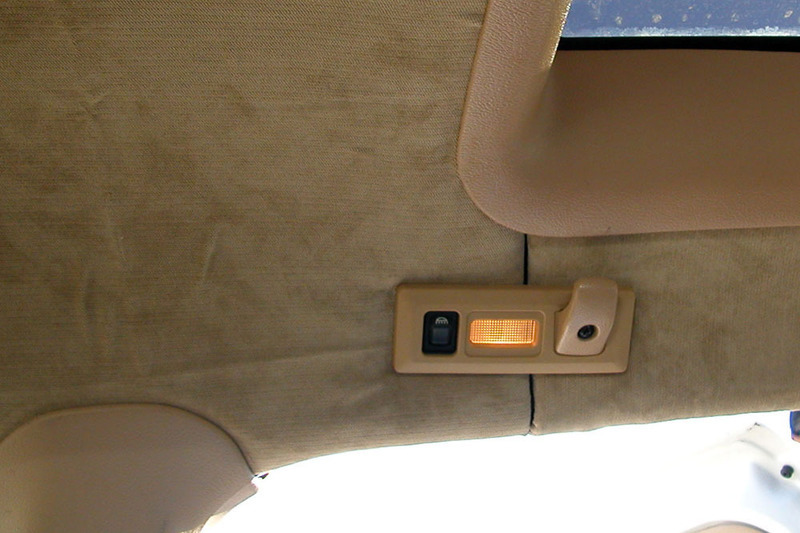 Rather than do re-inforcement along the sides of the roof window, I split the front section from the back right across the center of the backseat courtesy lights, pulled fabric over the cut ends and glued. The front and rear sections are now installed seperately and the courtesy lights frame and hold the cut ends.....It could easily be mistaken for factory original! Brilliantl! Photo of one of the joints?